Gary Clark Jr. was born and raised in Austin, Texas. His ability to play guitar quickly gave him recognition from his local peers. At the time he used to play at Antone’s Night Club for jam sessions (where Stevie Ray Vaughan or Buddy Guy also performed earlier), he gained much reputation while he only was a teenager. Before he was invited by Eric Clapton to the 2010 edition of the Crossroad Festival, he also had an experience of acting in the movie Honeydripper, released in 2007. His apparition to the Crossroad Festival exposed him to the music industry. Thus, Gary Clark Jr. participated in the American tours of the Rolling Stones in 2012, in the 2015 Foo Fighter’s one, and he was given the chance again to join in the Crossroad Festival at Madison Square Garden in 2013. Being called The Chosen One by some, he was honored to be named the future of the blues by Buddy Guy himself. 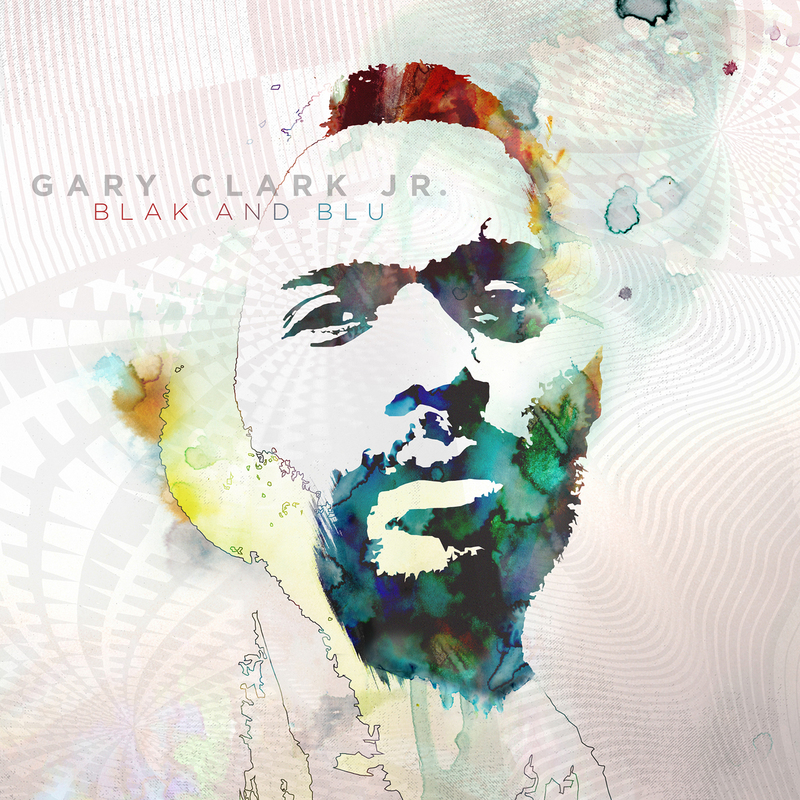 Released in 2012 with the major Warner Bros, Blak & Blu is Gary Clark Jr.’s first album. He collaborated on it with experienced producers such as Mike Elizondo (Dre Dre, Eminem, The Game) to obtain a great chance to be offered to a wide public. Blak & Blu has been nominated for two Grammy Award and has won one. With tracks like Bright Lights, When My Train Pulls In or Numb, he sends listeners into boosted rock with some shades of blues. Simply composed, his tracks keep a total effectiveness on those who are listening. Mixing different types of gears such as fuzz, wha-wha pedal and octaver, he is able to give Hendrix’s insane sound a reborn through impressive guitar solos full of feelings. Gary Clark Jr.’s lyrical flow gives his music a kind of a nonchalance which makes people requesting for more of his melodic sounds. Completely capable of playing different types of music styles, he shows his lyrical facilities when he hits the high notes, in particular on Please Come Home, but also on Things Are A Changin – where he embraces his soul and R’n’B influences to create a great atmosphere. On Next Door Neighbor Blues, he ends the album with a perfect blues coming straight from the Delta: sound filter on the voice and on the guitar to remind a recording from the 50’s, simple beat with a big drum, slide guitar and drop D (tuning especially useful for this type of music). A really good surprise. Despite all that, it is undeniable Blak & Blu suffers from a lack of coherence and rhythm. Regularly alternating music styles, Gary Clark Jr. takes the risk to lose the listeners because they do not know what to expect. If added an unequal quality of his tracks, this album appears to be a bit of a disappointment considering the musician’s quality. For his second album (2015), Gary Clark Jr. chose to settle down to Alryn Studio, a Texan studio which is well-know because it welcomed Stevie Ray Vaughan. During the breaks of his different tours, he killed the time being fully implicated into the compositions and the recordings of the tracks. Indeed, he decided to play himself various instruments on most of the album’s tracks. Gary Clark Jr. also preferred to produce it alone, thus he did have the ability to print his own identity on it. When the album is played, the gap between the first album and this one is immediate. A real balance emanates from the whole album, which looks way more personal, coherent and closer to what seems to be Gary Clark Jr. On tracks like The Healing, The Grinder, Hold On, Can’t Sleep or Stay, listeners are given the same Gary Clark Jr.’s special formule: a distorted guitar sounds offering catchy riffs, guitar solos built with virtuosity, plus a penetrating voice which remains entraining. He plays funky rhythms too, getting closer to a current musical tendency. Listeners are one more time confronted to his slow flow which makes them willing to discover more the content of the album. Besides, he brings back a modern should on Wings or Our Soul (special recognition to the few notes of synthesizer which are for me a real plus on this song). With Church, Gary Clark Jr. creates a musical ballad which transports the listeners into an American Southern states countryside with a great folky accent. Because he wants to approach his blues roots, he chooses acoustic guitar, but he also joins an harmonica to the panel of instruments. Cold Blood makes a link between indie music and soul, and it might sound like a song from the band Alabama Shakes – which is a really good thing. Nevertheless, there are still some musics that are a level below from the quality that Gary Clark Jr. can produce. But, they do not interfere with the very enjoyable listening this second album offers. After three years of experience at the center of the stage, Gary Clark Jr. created a well-balanced album, which allow people to wish for the best in the future. With two studio LPs, Gary Clark Jr. imposes himself like an excellent and complete musician, able to produce tracks bringing his diverse influences. Even if it is possible to critic his first albums, it is necessary to keep in mind that it is built for live gigs. As a matter of fact, Gary Clark Jr. and his musicians are real beasts once on stage. His live double album and the different performances available online are a good experience to understand what type of musician he really is. Arrangements of his own track, blues cover, acoustic, collaboration with a lot of other artists (John Mayer, Alicia Keys, Beyonce, etc. ), he can conquer the public with various attributs. Outstanding guitarist, Gary Clark Jr. sometimes reminds through his solos the golden era of guitar heroes. After an american tour which was a complete success, he comes to Europe for the end of the year. He will be playing in Paris (at the Bataclan) on November the 18th, for his unique French date.